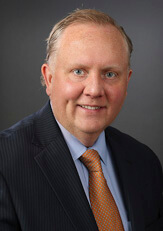 David M. Ness | Fafinski Mark & Johnson, P.A. Mr. Ness practices in the areas of estate planning, probate & trust administration, estate and gift tax controversy, tax-exempt organizations, and corporate law. He works with individuals and organizations in all aspects of estate planning, charitable planned giving, and estate administration. In addition to representing individuals, charitable organizations, and corporate clients, Mr. Ness represents the countries of Norway and Sweden in estate and trust administration cases arising in the Midwest. He also has extensive experience representing tax-exempt organizations, including his role as outside General Counsel to Sons of Norway, a fraternal insurance organizations headquartered in the Twin Cities. Mr. Ness was named a “Super Lawyers Rising Star” by Minnesota Law and Politics and featured in “Who’s Who in Estate Planning and Probate Law” by Minnesota Law and Politics. He is a frequent speaker on topics such as estate planning, taxation, and business succession. He is also a contributor to radio and television programs such as “The Law Show” on WCCO 830, News Talk AM 1130, the Cities 97 Morning Show and KARE 11 Sunrise. Member, American Bar Association, Real Property, Probate & Trust Law Section, and Tax Section. Dave and his wife Vicki live in the western suburbs with their three high school age children. Dave is an avid golfer and also enjoys spending time with family at the cabin.